I had stone surgery in late 2016 at summit and it was a wonderful experience. My husband recently experienced some kidney issues and was seeing a doctor from another practice until I decided he was going to see Dave and Dr. Smith for a second opinion. Best decision we've ever made! They quickly got him in and got him lined up with a well qualified surgeon that is fluent in kidney removal surgery. In addition, during all of this craziness, I developed some pretty severe urinary symptoms myself and during one of my hubby's appointments, Dave had me leave a urine sample and within days he promptly diagnosed and treated a severe bladder infection. I can't say enough good things about these guys, I could literally go on and on just in regards to our recent experience here. Love them so much. And the staff is nothing but a bunch of the sweetest girls around. My only regret is that I let my husband's PCP assign him to a doctor anywhere else but Summit and that i didn't contact them sooner. Highly recommend them!! My first visit and I would recommend Dr Logue to anyone. Very happy with my care at Summit with Dr Smith and staff. The entire staff provided excellent superb professional service. Thank you! 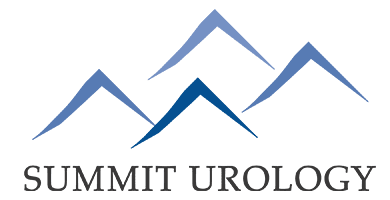 Of course every one who works at Summit Urology are experienced, truthful, and friendly. I will and do always tell others its the place to go. My experiences to date have been professional, extremely expedient and reassuring. Great doctor and staff. They are knowledgeable, courteous, caring, efficient. I was treated with courtesy and everyone was very professional and friendly. No wait time. Dr Logue & Staff friendly, explained every step of procedure. Highly recommend. Staff was courteous, prompt, and professional, Dr. Elkins takes an interest in and genuinely seems to care about his patients issues, and in a caring professional manner. David Elkins and Dr Smith are very personable and helpful. Very concerned about my health and are so helpful. I appreciate your kindness. Awesome facility and staff. Super quick and super nice. Dr. Smith is a very professional and caring doctor that I have gone to for many years now. He is always there when I need him. His PA Dave Elkins is also very caring and there when I need as well. Two of my favorite doctors. They always get me in when I am having problems. First visit only-seemed nice & had time for me & no hurry to leave me standing.